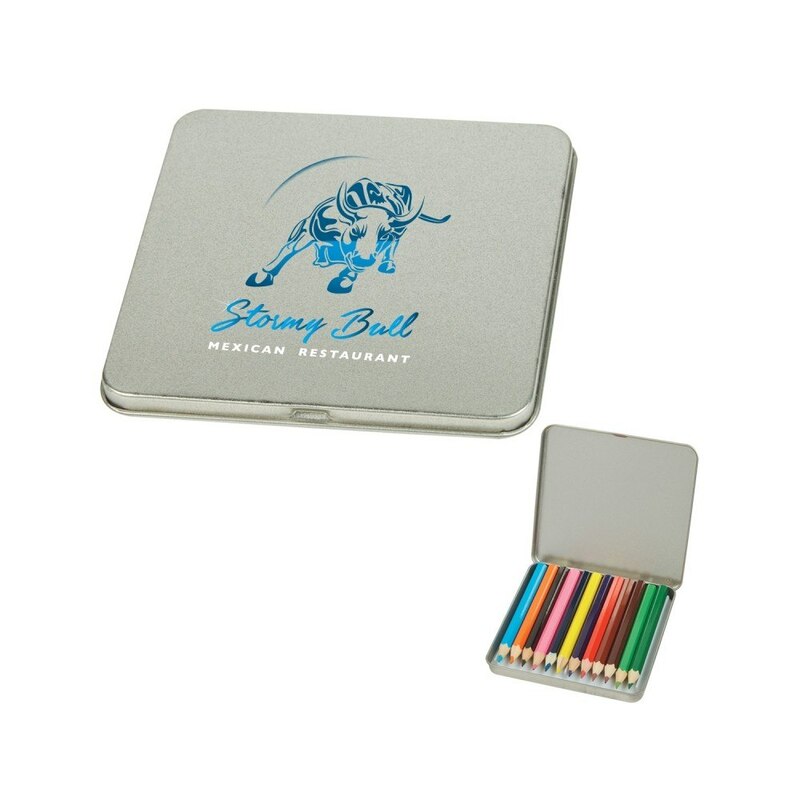 If you are looking for an affordable promotional gift for the upcoming event or trade show, your search ends here with the 12-Piece Colored Pencil Tin! This special, unique product is designed to catch a lot of attention for your brand while impressing the recipients. This color pencil set includes 12 basic colors – black, blue, green, brown, light green, light blue, orange, maroon, red, yellow, purple and pink. The color pencils come packed in a metallic tin that is easy to access and stores the colors safely without the fear of losing after use. 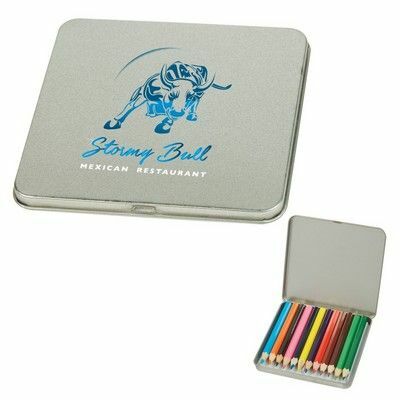 An ultimate companion for artists and students, this pencil color box offers a large etching area to allow imprinting your brand logo, company name and marketing message to create a lasting impression on the recipients’ minds.